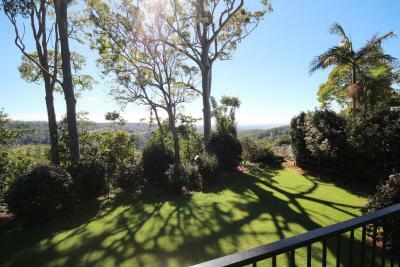 Lock in a great price for Mt Tamborine Motel – rated 8.4 by recent guests! I have stayed here before and really liked it. 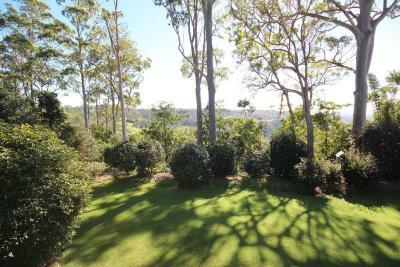 Nice little balcony overlooking tidy back yard and open landscape beyond tall timbers. Building is set well back from road so away from passing traffic and very quiet. Lots of free off street parking. Good facilities provided with two place settings of plates and utensils. Microwave oven is handy. Very clean apartment. A hotel/tavern is located right next door, I self catered and so didn't use it for meals but probably others would. 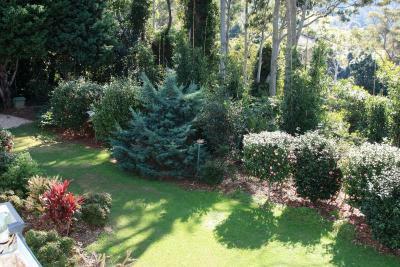 Excellent value and location. Served perfectly as a base for a nice Mt. T visit. Nice clean, comfortable room. 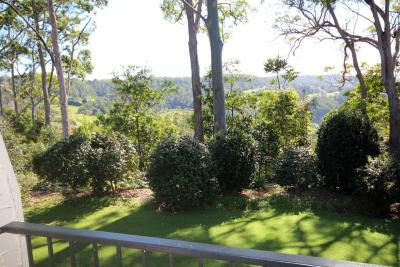 I particularly enjoyed sitting on the balcony watching the peacock and birds wander around the garden. 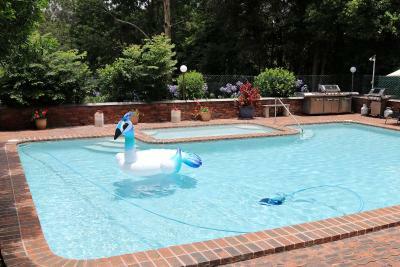 The owners were absolutely lovely and very helpful! The motel was in a beautiful treetop settings. Very clean. Handy lunch and dinner venue next door. Everything was perfect except for the customer service which was very poor . The lady on the phone was very rude and inpatient. She was also very unpleasant and unprofessional. 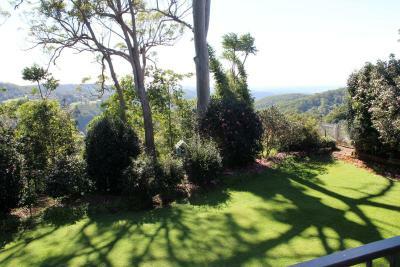 Staff are friendly, views beautiful and rooms were comfy. So peaceful. Loved our stay. 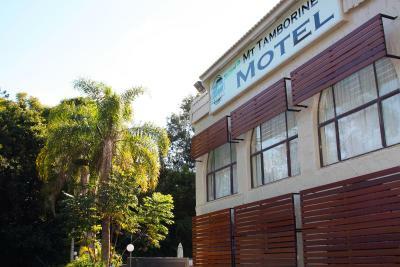 Mt Tamborine Motel This rating is a reflection of how the property compares to the industry standard when it comes to price, facilities and services available. It's based on a self-evaluation by the property. Use this rating to help choose your stay! 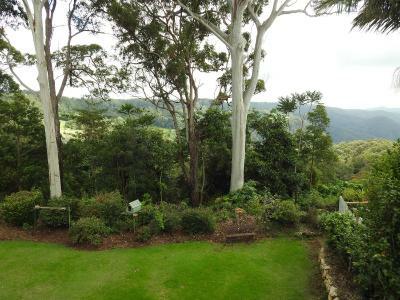 One of our top picks in Tamborine Mountain.Located on the edge of Guanaba Gorge on Tamborine Mountain, Mt Tamborine Motel features free WiFi, free on-site parking and an outdoor pool. 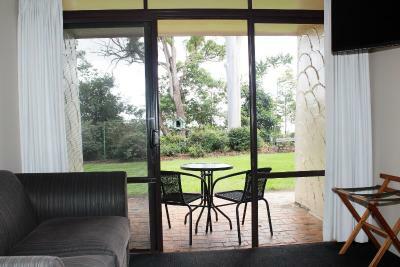 It offers rooms with a private balcony with garden views. All air conditioned rooms have cable TV, a refrigerator, microwave, toaster and tea/coffee making facilities. Each room has a bathroom with a hairdryer and free toiletries. 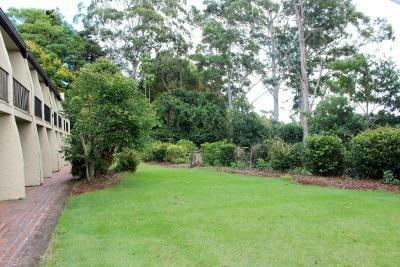 Mt Tamborine Motel is 5 minutes’ drive from Tamborine National Park, and 10 minutes’ drive from Mount Tamborine Convention Center. 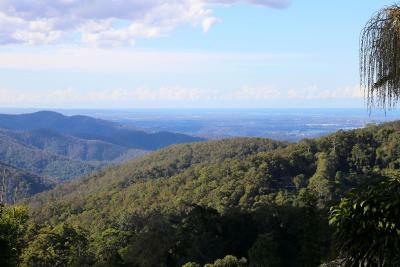 Surfers Paradise is 23 mi away. 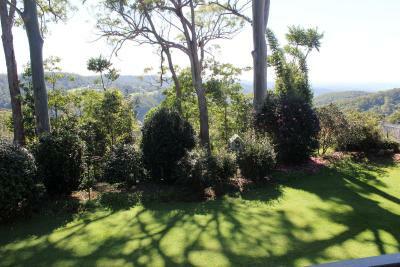 When would you like to stay at Mt Tamborine Motel? 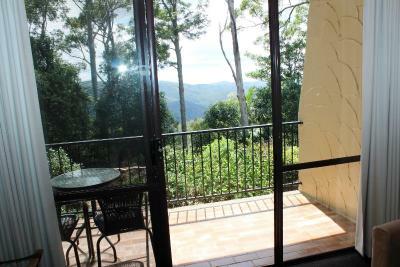 This room features a private balcony with views over Guanaba Gorge and the motel's lovely garden. 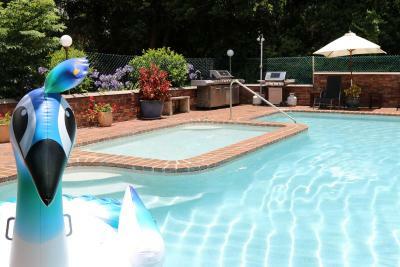 It also has cable TV, a refrigerator, microwave, toaster and tea and coffee making facilities. 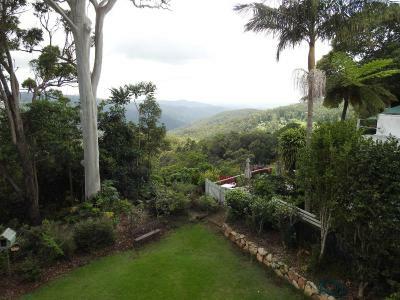 Mt Tamborine Motel is a two storey building with 12 rooms upstairs and 12 rooms downstairs. All air-conditioned rooms have a balcony ... the upstairs rooms offer views over Guanaba Gorge and the downstairs rooms offer garden views. 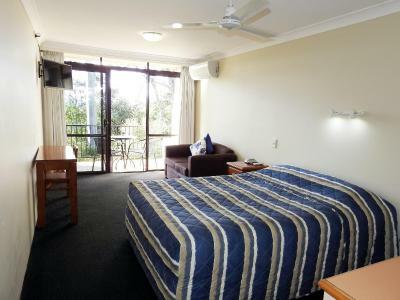 We have one room rated for Disabled Use; we also have some interconnecting rooms which are ideal for families. 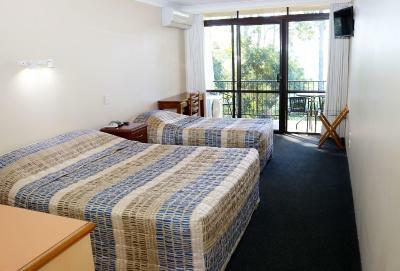 We offer clean, well appointed and reasonably priced rooms. 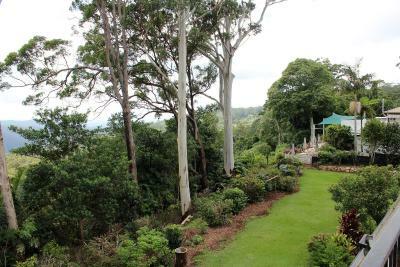 House Rules Mt Tamborine Motel takes special requests – add in the next step! Mt Tamborine Motel accepts these cards and reserves the right to temporarily hold an amount prior to arrival. Please note that there is a 1.5% charge when you pay with Visa, Mastercard or American Express credit cards. Please note that there is a 1.8% charge when you pay with Diners Club credit cards. Please note that this motel has two stories. If you have a preference for ground downstairs or upstairs please advise when booking. Please note that requests are not guaranteed and will be confirmed upon arrival, subject to availability. Upper level room could be difficult for those who have trouble using stairs. Stairwell area is not rain-proof so can get wet from stairs above in inclement weather and treads can be slippery. Step supports need maintenance soon; rust is evident but probably still safe to use at the moment. We love the view and privacy of the balcony. The location and the amazing view. The smell of the cleaning product in the room was strong unpleasant and persistent. Staff were pleasant and accommodating. Court yard echoed noise from a group of motor bikers talking loudly and revving their bikes. NB: this is NOT the fault of the motel. 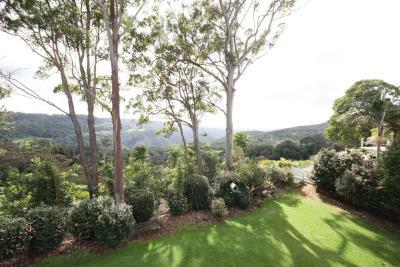 Lovely location looking across the valley. Breakfast not supplied. Very uncomfortable bed and way over priced for the rundown establishment ! There was a strong odour from the cleaners used when the room was first opened. Cockroach in room. Dirty cleaning rag left on bathroom sink. The rooftop of our accommodation could be a great viewing area. On a quick look all the air conditioner units are up there such a shame.